Fr. 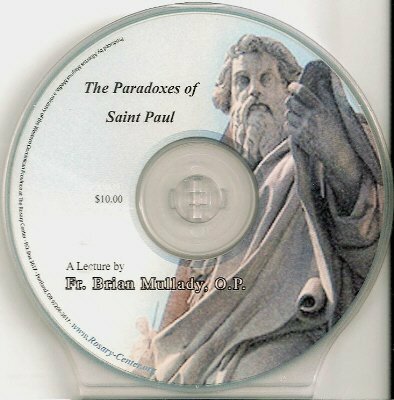 Brian Mullady OP delivers this talk to a live audience at Holy Rosary Church on the paradoxes in the writings and theology of Saint Paul. 1 CD - $10.00.